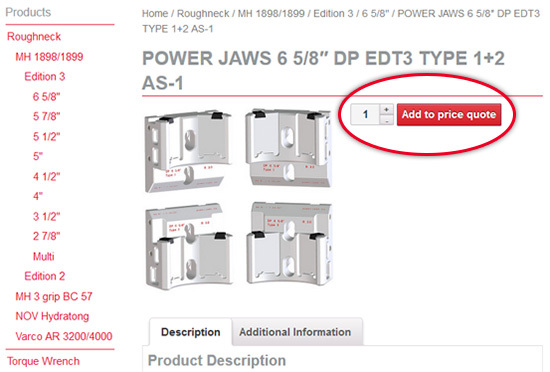 At powerjaws.no you can easily pick together your request with what you desire and need for your particular machine. 1. Register an account by following this link or click Create account in the right hand top corner. Fill in the form and send it to us. 2. When we get your application we will send you your login information. 3.You can now login and browse the products you want and add them to your “shopping basket” to get a price quote. 4. Send an inquiry. We will process your request and provide a price. 5. When logged in you can see your previous inquiries and orders.